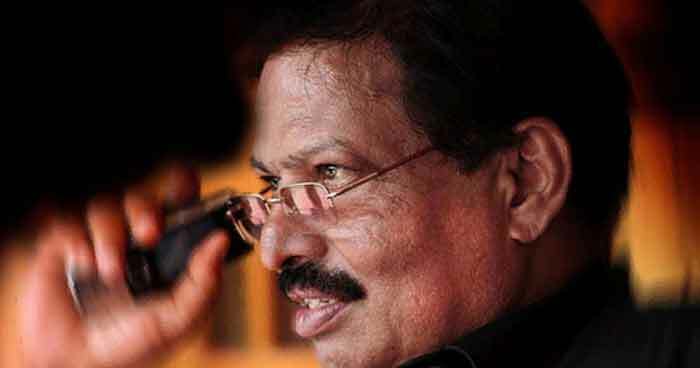 Malayalam filmmaker Sasi Shankar, whose films had won many laurels including national award for the best film on social issues, passed away in Kochi on Wednesday. According to his relatives, Sasi Shankar, a diabetic, collapsed in the morning and was soon shifted to private hospital in Kolenchery, where he was declared brought dead. Sasi Shankar was in the preparatory works of his new film. "He returned from Kozhikode on Monday and had held talks with his associates regarding the new venture on Tuesday. He had been suffering from ailments related to diabetes," said Sreekumar, brother-in-law of Sasi Shankar. "Sasi was at his home at Pancode near Puthenkurish. At around 9.30am on Wednesday morning he suddenly collapsed. Though we took him to the hospital he died before reaching there," he said. Sasi Shanker, who directed many hit films, won the national award for "Narayam" released in 1993. His Dileep starrer "Kunjikkoonan'' was remade in Tamil after it became a box office hit in Kerala. "Perazhagan", the Tamil remake of the movie had Suriya and Jyothika in lead roles. Shankar is survived by his wife Beena, daughter Meenakshi, and son Vishnu. Shankar was apparently in the midst of a new project before his sudden demise. Body of Sasi Shankar would be brought to his residence at 9 am on Thursday. Funeral will be at around 3pm.